The Advanced Science and Technology Education Charter (ASTEC) Schools became Oklahoma’s first start-up charter school in 2000, founded by Dr. Freda Deskin. 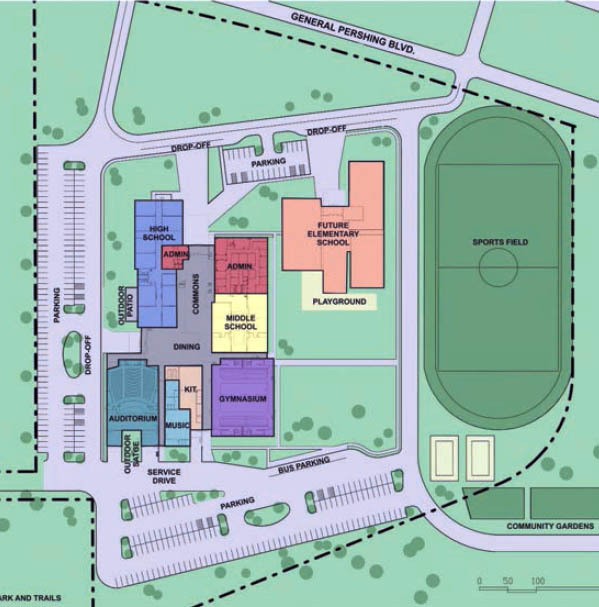 The school began with just 100 middle school students and quickly grew to include a high school with a combined enrollment of 750 students, plus a “waiting” list of several hundred. ASTEC is a Science, Technology, Engineering, Arts and Math (S.T.E.A.M.) schools where students have technology as a core subject every day in engaging classrooms where the liberal arts are fully integrated. In addition to these core subjects, ASTEC values character, manners, proper etiquette, social and cultural awareness, a strong work ethic and entrepreneurship. All students who enter ASTEC Middle School are required to take 9-weeks of character education, manners and etiquette. The administration, faculty and staff reinforce these positive behaviors throughout the school year. The results of this practice are profound and is one of the first things visitors notice: well-behaved, polite and respectful students. As a health and wellness conscience school, ASTEC Charter Schools, with sponsorship from Mr. Harold Hamm and Continental Resources, became the first school in Oklahoma and the Midwest to become one of Dr. and Mrs. Mehmet Oz’s HeathCorps schools. I thought the school was in Shepherd Mall though (at least then), because that's where the camp was held. Okay, found lots more about this school and project. I went to a week-long space camp sponsored by ASTEC in the summer of 1998, before entering the third grade. I believe that they are in Shepherd Mall in the former TG&Y location. With all the problems at the mall it may be time for the next step. Wow. Really impressive looking buidings in those renderings. 6th grade in '89 ... 3rd grade in '98... jeez, you guys are so young, sigh. Man, seems like that would have been a natural for the campus of the Oklahoma School of Science and Mathematics. I know OSSM has a massive amount of land, and is not filling it up as quickly as they had hoped. I would guess it will take generations if it ever happens. Seems they could have spared a few acres for this, while furthering their mission. For me, 3rd grade was in '03 & 6th grade was in '06. That would've been cool. I don't understand the location they've chosen at all. Not in a downtown vs. suburbs sense, but that location can be a little...seedy. Seems like yours would have been a much better plan. That lunchroom looks like a Mad Men ad. Thread title needs to be changed from Aerospace to Advanced STEC. I'm glad the students will get to enjoy a state of the art building. Anything is better than that dump they have now. 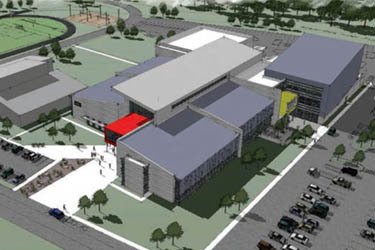 Very impressive renderings, and a deserving school. This location is a bad idea though... I wish they'd build this in a less dangerous and more accessible area of town. There are areas that you spruce up, and then areas that you don't. The problem with OKC's redevelopment is a lack of concerted planning. I thought it was universally understood that this area between Pershing and NW 10th would be where all homeless services are relocated. Now why build this in the middle of it all? You identify a handful of neighborhoods and areas to focus on by targeting your investments strategically so that you can assure success. These are conflicting influences. I don't think ASTEC specializes in at-risk students in the same way that the Emerson school does?? We need better planning. Putting this on Lincoln or anywhere else would have been a boon to all. This reminds me of the OK Contemporary facility being planned on N. Broadway and how we're also not really serious about having an "Arts District" west of the CBD. The location is such an abomination. This is about the worst dreggs neighborhood in OKC. Uncle Dad and Aunt Mom aka keeping it in the family, if you read between the lines. I wish ASTEC luck but based upon my associations with management and staff this is probably beyond their comprehension. I somewhat disagree. Knowing this school is being built might make me take a second look at Miller/Youngs-Englewood. I am currently house-hunting and these are neighborhoods I have written off because of the school situation. Having ASTEC a quarter-mile away could change the equation. NW 10th is definitely not a street built with character. I think the location is a good location "access wise" and that is why they chose it. Also probably because the property was fairly cheaper than places you're looking at. Maybe they were thinking of the inward-outward strategy. Grow it like a flower in bloom. Have a nice school and watch the neighborhood grow from the darkside to the right side. Who knows. As for the homeless, I see that action closer to Penn than this which is nearly right down the middle and closer to the State Fairgrounds than the Salvation Army's new diggs is. I don't know if they would have to pay for land at all if they worked a collaborative deal with OSSM. Westlawn Gardens aka Mulligan Flats is infested with low skilled...criminally induced unibrows who have family trees with no branches. Anyone who willingly moves into this area must either be ignorant of the area, asking for trouble, or simply lacks the good sense to care. Doctor Taco the neighborhood you mentioned is more of a lateral step and a step up of only about 2 sheets of paper high compared to here. I would build next to a toxic waste dump before I would move anywhere near this area. ASTEC just had a big fund raiser last week. They are moving forward with paying the architect to complete full schematic design, as well they're about to issue an RFQ for program management and pre-construction services. That's essentially just bringing on a GC to help estimate the costs and validate the AE. This may be moving faster than anyone may have originally thought.